Children and adults will love the Friendship Bracelet Kit Set Activity that includes 10 Skeins of Thread Wheel Funcraft Made by ToySmith. 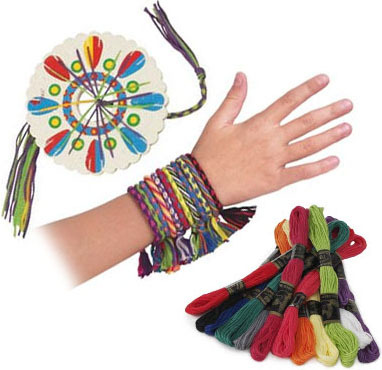 Circular foam loom comes with enough thread to weave ten colorful bracelets! Amazing For Get-Togethers! !